HOW TO PREPARE FOR PET SITTING IN MY HOME? By staying at home, your pet will be able to stick to its daily routine. In order to guarantee this it’s important to make the sitter aware of your animal’s daily timetable. By specifying all these details, your pet will feel reassured and the presence of the pet sitter will be better appreciated. This one of the most important elements that you need to make the sitter aware of before you go away. 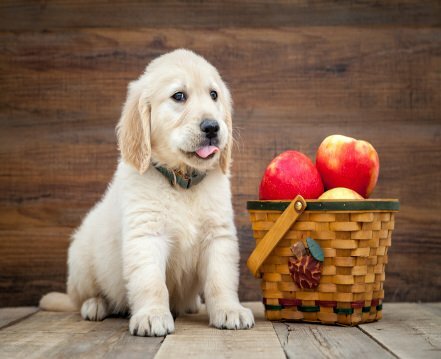 Regarding feeding your pet, you’ll need to specify the daily amounts as well as the frequency. In addition you can specify the meal times your pet is used to. Depending on your pet’s profile, it may need regular daily exercise or just need to go out to do its business. It’s a good idea to let your pet sitter know what your pet likes doing its walks so they know whether it likes to play games or quite simply just stretch its legs. You should also specify the regular times for its walks so the sitter can stick to these. When you choose pet sitting in your home, the sitter will almost certainly stay overnight for the period of the sitting, which means your pet will have company day and night. So that all goes well, you shouldn’t forget to tell the sitter about your pet’s behaviour overnight. For example, you should specify where your pet usually sleeps. Some sleep in their basket, others on the bed or at the foot of the bed. In any case you should inform the sitter, so they remember to leave the door open of the room where your pet sleeps. Some animals suffer from occasional or chronic health problems, which may arise during the sitting. If your pet is receiving medical treatment at the time of the sitting, it is vital that you inform the sitter. Not all sitters will feel able to administer medication. In the case of a diabetic animal for example, they would to do daily injections. Ideally you should specify all such details when you first meet the pet sitter, so you can show them how to administer any treatment : via food or with a snack etc. In addition to your pet’s particular characteristics, there are potentially other criteria you should take into account. For example, it’s a good idea to inform your neighbours that a pet sitter will be staying during your absence. It’s likely that your pet sitter is unknown to all your friends and relations so it’s important to let them know about the pet sitting so there are no misunderstandings.